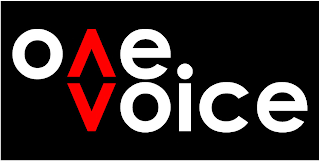 The One Voice event is still going strong. I feel like it might take me the full two weeks to blog everything related to this event. At least that will keep me busy, huh? I'm wearing today a lovely color combination of purple and brown. First, the "Layered Tank" by : S u g a r : is just awesome. Fit SO well. No modifications to my breasts either. I cannot wait to see what else this creator has for sale. It can be found at the MESH SIM for One Voice. Also, a designer I have come to know because of the event is [Amarelo Manga] and I really enjoyed their shades and now I am enjoying the "Capri Pants" and matching "Summer Pumps" in a Tobacco brown color, all mesh. The mesh feed can be worn independently and stand on tip toes. A nice accessory to bring it all together are the "SunGlasses - Milano Cats-Eye 40's" by Maxi Gossamer. There are several textures and pattern combinations so you can pretty much wear these babies with anything. The plus is they can be worn over your eyes or on a chain, too. And lastly, the thing that stands out the most to me is this GORGEOUS, deep toned skin my Mystic Canvass. I'm head over heels in love with the shading, the boldness, and the glow of these skins. I absolutely look forward to their future releases. Looks like you have several places to visit.